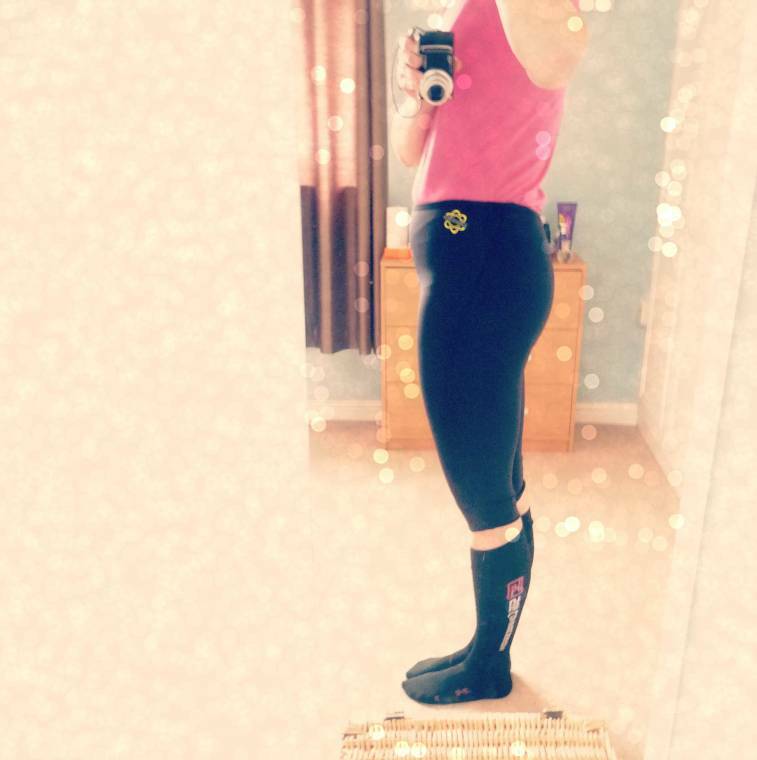 Zaggora Hot Pant Capri Review. 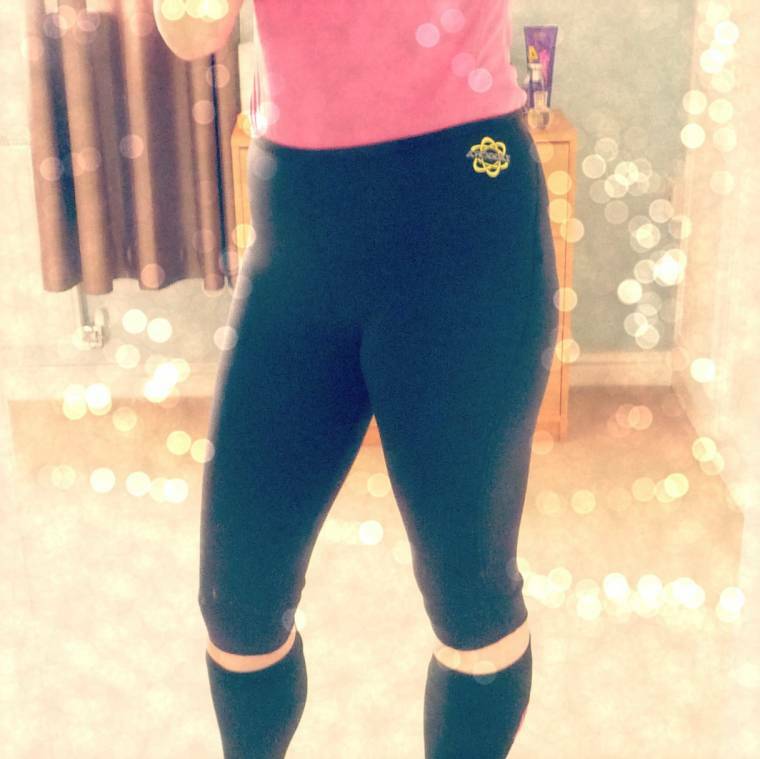 Over the Easter holidays I was given the chance to try out and review the new Zaggora hot pants capri . I am a big fan of Zaggora products, they are my favourite way of losing a few pounds quickly by sweating away the excess weight. I had previously reviewed the hotpant 2.0 in September and I loved them, but over the winter I’ve not been wearing the hotpants as they were just a little short to keep me warm with all the cold weather we had. I was interested to see how the Capri hot pants felt on, not having the thinnest of legs I was worried they might restrict the movement in my knees. When they arrived I quickly unpacked them and put them on. This is the fun bit, pulling and wriggling to get inside then.The material is strong so even though you think they might burst open trying to get into them they stay strong. You can see from the picture above they fit perfectly. They sit just under my knee, feeling tight, yet when running and working out my knees feel fully flexible. Impressive! As I’m training up for London Marathon I really wanted to lose a few pounds doing the Zaggora two week challenge but as I got flu I did not manage to get out and run much. Now building my strength up for the race, my weight loss plan will have to wait until after London!! Calf-length HotPants 2.0 Capri get your legs hot, all the way down to your calves! Your hips, bum, thighs, knees and calves. Curved seams contour your figure along your natural curves and have a fantastic slimming effect. 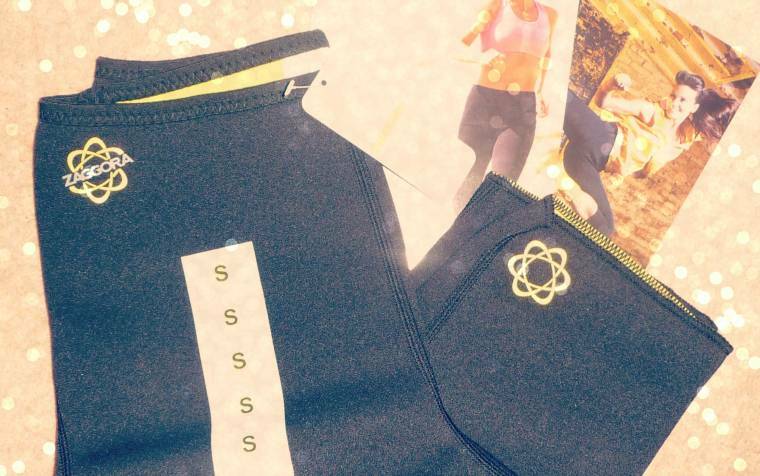 The Zaggora Hot line of products has been extensively tested in both the US and UK for effectiveness and safety. I am a big fan of the Zaggora Capri hotpants and would recommend them 100%. They are great fun to try and make you work hard training in them. You sweat loads in them and the best part is after you have worked out, the feeling of pulling them off is priceless. Do you own a pair of these or fancy trying them out? About this review: I got sent a pair of the Zaggora hot pant for the purpose of this review, I was not paid for this post and all thoughts are my own honest opinion. "Fashion Mondays : Creative Mondays Blog Hop…"
"Nottingham : Wordless Wednesday Blog Hop…"
Very good review! It looks great on you Claire!